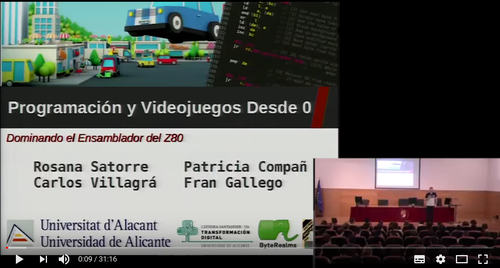 DEZ80 is a youtube video course created by the University of Alicante to introduce students programming from scratch. 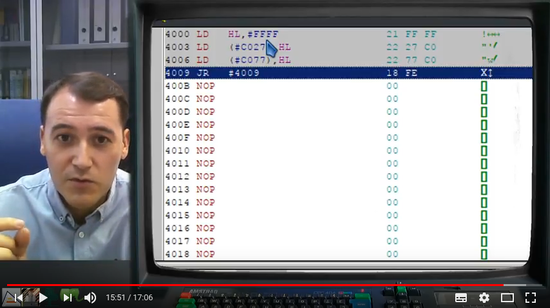 It starts making students program in machine code, and then it teaches Z80 Assembler. Lessons are focused on practical challenges that students have to overcome. Theoretical videos are developed as help material for challenges, and not as required material. DEZ80 videos are in Spanish. Collaboration to translate subtitles or audio is welcomed. 2.T02 TEORÍA: Funcionamiento del monitor. Raster Scan. 2.T05 TEORÍA: Almacenamiento en memoria. Variables. This page was last modified on 4 March 2018, at 12:58.